Very helpful, very friendly, easy to talk to. Rebecca is an awesome employee, she is caring and easy going. All the staff Rebecca Monique and Marc all have great customer service. My mother who is sick feels very comfortable keeping her valuables at this location. Thank you H&M Self Storage for having great staff! Rebecca is Fabulous!! Always remembers my Name, Patient Kind & Helpful. It's been a deemed pleasure! The staff is wonderful & helpful. They need more help. The staff sometimes are out cleaning and need to be in the office. Should be 2 people all the time or at least 4 days a week. Becky is so helpful especially during a very difficult time of my dad's terminal illness. I am thankful your company is compassionate and allowing me time to pay my full payment. REBECCA & HER STAFF EXCELLENT SERVICE BEEN A BIG IMPROVEMENT OVER PREVIOUS MANAGEMENT. Very nice, very helpful nice young man, Marc. We had a good time working with you guys. Thank you for making our move easier! Customer service was great and made everything less stressful. Cleanest Lot & units I've been in, here and LAS Vegas Great job! Reflects on your job. Excellent job! Even after their close, Rebecca was extremely helpful & kind &really took care of me. You guys are a great business!! Wendy & Rebecca are the greatest!!! They helped make the exciting (sure) challenge of moving into storage the least of my worries. They are professional and friendly and I'd recommend them to anyone looking to store anything. Wendy was Amazing! So helpful knowledgeable, I looked at 4 other facilities and she sold me on this one! Wendy is an angel for helping me and looking after me for my RV Space, Thank You! Very Much for all of the extra work Wendy!!! Came in not knowing what we needed and the manager Forrest was so helpful in us deciding what we would need even down to explaining the size rental truck we would need. He was pleasant and very knowledgeable in all areas. We were most impressed by his age and maturity. We will be back to rent for sure. I have talked to both young men working the office and they are both very good young me. I am a senior and it is hard to understand all of the new fees but they did a good job of helping me to understand my bill. Top notch young men and business from my book. I HIGHLY recommend H and M Self Storage. We've been a customer for several years, and this place has always gone above and beyond for us. They have always accommodated our somewhat awkward storage needs, and were very patient as we moved our stuff from a smaller unit to two bigger units, and then finally in to a really big unit. Both Mike and Forest are genuine, friendly, and helpful. If you want to do business with good people, here is the place to go. Very nice place, Great price the best I could find around. Chris was extremely helpful. He was able to accommodate our last minute needs. Highly Pleased Thank you! I found H&M Self Storage clean and safe. Very professional staff and willing to inform. I found what I was looking for. Would recommend. Very nice office staff, great service. showed us several units to help us make up our mind. Rented a storage unit and an rv space. Needed a temporary space while I sold my RV. H&M was very accommodating & easy to work with. I only needed the space for a few months. I would recommend H&M anytime! Mike was very nice and had great customer service skills. I had major issues with the drop off, so I called Mike and he was very professional and helped me the best he could. Mike is definitely the man to contact at this location for all your U-Haul needs. Have been with H&M for more than 10 years. very clean and safe. Mike and Forrest are always there with great service! Great Service! nice storage place. Clean and safe. Only needed storage for short time, very accommodating. i did not expect to receive such great service when renting a storage.This was so easy. Thanks to Mike & crew for the help in finding what I needed and making us laugh during a stressful time. All I can say is #1 service from your manager! Friendly service good attention to detail. Great location for us. Great Service. Very helpful. we found what we needed and a fair price. Manager made sure we had all the information we needed to make our choice. Very clean! The service is excellent. Mike showed me around and I chose a 40 foot space for my RV. The access is easy and the space is perfect. H&M provided the ideal solution for my RV storage requirements. Price is very competitive. Thanks for being so kind! I will be glad to leave additional reviews. We have been here for a short time and we had such a great experience. We will certainly be returning to thos facility for our future storage needs! This Place is awesome! Clean, friendly and affordable! this is a very nice storage facility. Customer service by the young man in the office . Forrest. was extreamly helpful and explained everything very well. The property is clean and well managed. The Manager Mike was very kind and thoughtful with all my question. the facility is clean and the price was reasonable. Would recommend!! Nice clean safe facility the manager was outstanding went above and beyond. We had to move our mother into the place close by I was even able to rent a truck for the day it made it so convenient. Very helpful and pleasant to talk to in person or on phone. Very satisfied with our storage unit. I came in last weekend to inquire about a unit and worked with a young man named Forrest .He was very professional and took time to explian in great detail.Customer service is really great here.This is the way to get and keep customers way to go. Thank you for taking such good care of my stuff. Great, secure storage. Great customer service oriented staff! Everything went smooth and quick! Best experience ever! Very professional and kind. Thank you Chris! Fred is a saint, he has really worked with me and kept me informed on what's going on. Great people, great service I will recommend people to visit this storage. Xlnt Best service ever in my past experience with storage. Thank you Fred & Zach! Very nice storage managers-very helpful customer service! Manager extremely friendly and very helpful! Fred was wonderful and courteous as well as Zack very pleasant. I was on the fence on renting a storage unit or bringing everything I needed to move home. The Manager was so helpful with this rental I decided to rent a unit at H & M as well as my U-Haul. Fred was great to work with. Were extremely friendly and helpful. Thanks!! Fred was awesome. Great customer service. Will be using this place because of Fred. Fred and his man Zach work very hard and are very professional! Zach was super nice and helpful! You need to keep him around cause moving is stressful. Zach was pleasant and personable. We donated to breast cancer and got a great deal the first 2 months! Very happy. Thank you. Fred is awesome! He is the face of this business & I have referred others to this storage unit solely because of Fred! Very happy here. I've been renting at H&M Storage 5-6 years, pleased with the service and price helpful. Amazing service, everyone so helpful, great customer service Fred was soooo helpful! Outstandingcustomer service from all these folks! Keep it up! Kind, clean and reasonable. What else do you need?! Highly recommend! Staff is nice and friendly .Everyone wants to slide by a little , i had been charged 5.00 extra dollars for moving a dolly. I didn't know but hey after arguing my side bottom line is its U--HAULS RULES THEY ARENT GOING TO PAY FOR MY NOT KNOWING.I SHOULD OF READ THE PAPERWORK . All in all they are good people especially Amy. She might seem alittle fough but shes a great person . Mark is an amazing employee, he went above and beyond for us to get a space. He's very nice, knowledgeable, friendly, and he explained everything in detailed for us. Alittle pricey but honest and trust worthy I left my unit unlocked by accident for 2 weeks and was not missing anything. Super friendly staff and amazing customer service, clean facility. Would definitely do business with them again. Good location, very friendly owners. Good prices for storage. Someone is always on site. Best management ever. Very clean and secure. I feel completely at ease having all my belongings here. Whether you’re moving to a new home in Sun City, CA or just need some extra space, look no further than H&M Storage to meet your needs! 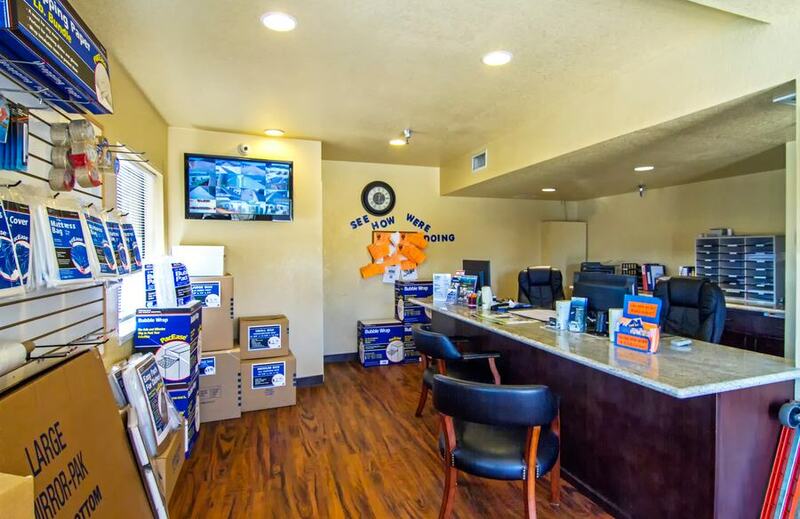 Our facility is located at 26850 Encanto Dr in Romoland, just a stone’s throw from Sun City. 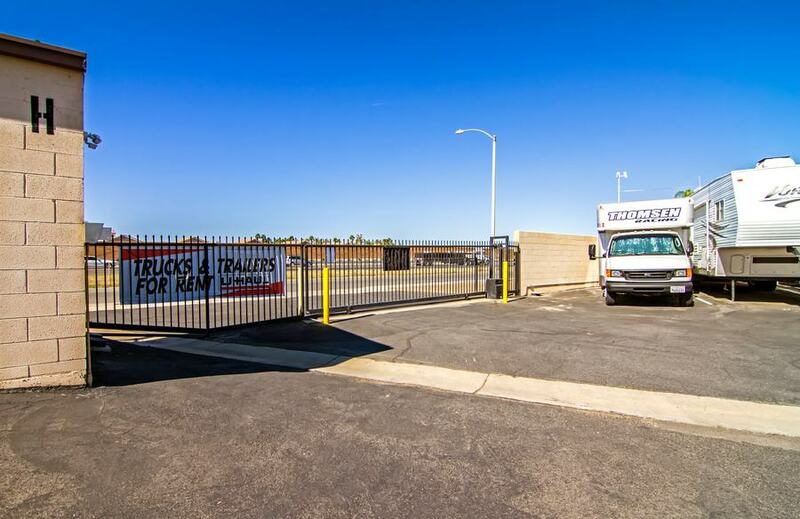 You’ll find us right off US-215 and near R&R Auto Group. 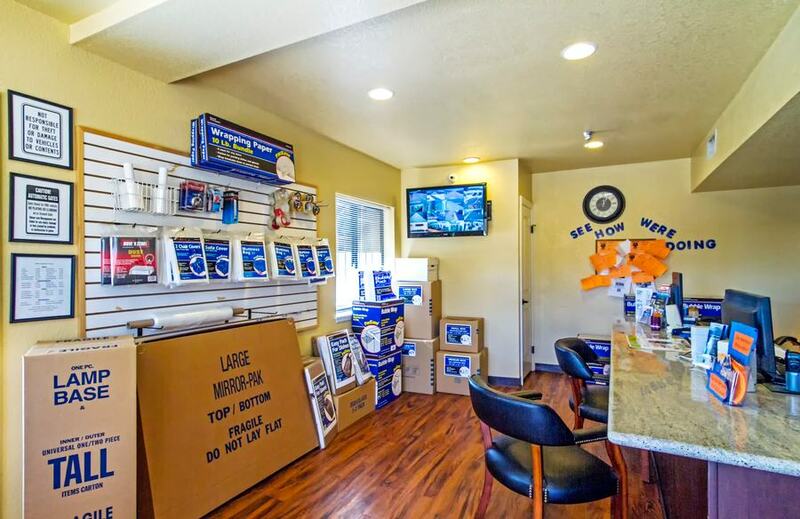 We’re just a quick drive from Menifee, Perris, and Mead Valley. We’re confident that we have the perfect storage unit to suit your needs. Contact us today! 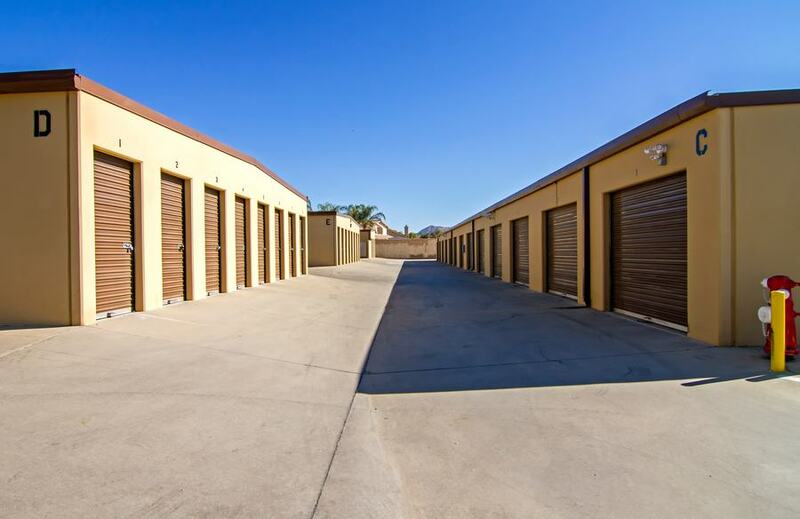 At H&M Self Storage, all of our garage-type storage units have their own individual light inside, making evening visits a breeze. 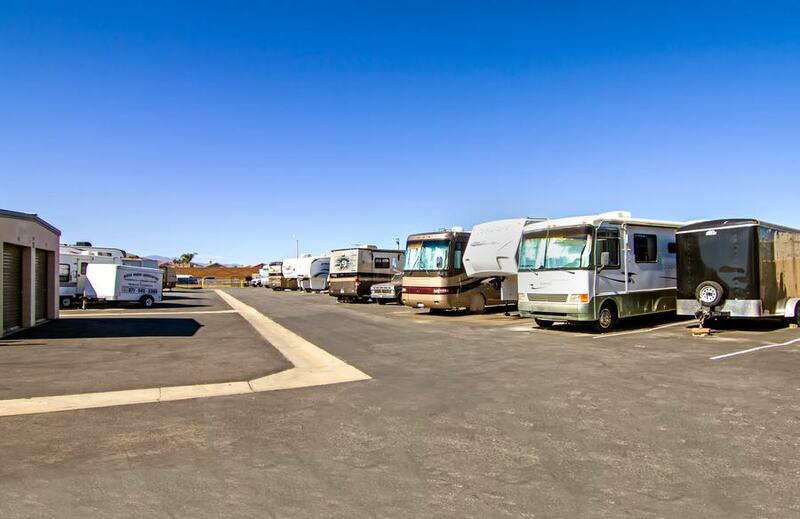 Our wide aisles make drive-up access hassle free, and the RV parking area has its own separate gate for your convenience. 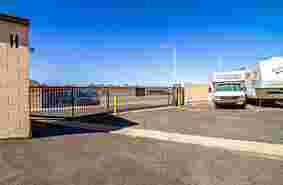 We are a fully gated facility with security cameras and an onsite resident manager. We also carry boxes and moving supplies, so you won’t have to go anywhere but here for your entire move! Our experienced and friendly staff take pride in their customer service. We are always happy and willing to answer any questions you may have. We are open seven days a week. Our office hours are from 8:00 a.m. to 5:00 p.m. and our gate hours are from 6:00 a.m. to 10:00 p.m. Come visit us! JOIN US AT H & M SELF STORAGE FOR OUR YARD SALE AND BARBECUE! Join us at H & M Self Storage on Saturday, October 21st, from 8am to 2pm. We’ll be serving up food and beverages for visitors, and many of our residents will have goods for sale. We’ll also be selling raffle tickets leading up to and during the event, drawing winners at 2pm when we pack it in.. If you’re a current tenant and would like to participate in the yard sale, contact the front office at (951) 679 – 4541. or hmselfstorage@stratprop.com. Here at StaxUp Storage, we know our success is due to our wonderful team. The care they give our self storage renters is unparalleled and we want to highlight their milestones along the way. Below is an interview with Sun City, CA team member Forrest Allen, who is celebrating his 4-year anniversary with StaxUP Storage this week. Forrest Allen is the manager at H&M self storage in Sun City, California. H&M has wide lanes, drive up access, and many other amenities to suit your self storage needs. You can find Forrest managing the property at H&M Self Storage. Peter: Is this one year with H&M Self Storage? Forrest: As a manager, yes, but I was an assistant manager for three years before that. Peter: Four years is a long time at any job these days. Congratulations! Peter: How did you get started working in self storage? Forrest: I kind of grew up around it. My parents were doing it. My grandparents were doing it, so I thought it would be a good idea, since I already knew a lot about it. Peter: That’s an interesting, sort of almost, family business to grow up in. Forrest: Oh, yeah, it was interesting. Still is, haha! Peter: Do you think you’ve learned anything working in self storage that you wouldn’t have learned other places? Forrest: Definitely people skills, learning the right way to talk with different people and learning how to handle different situations. Peter: After four years in the business, I bet you have a lot of stories. Do you have any go-to stories when someone asks you what it’s like to work in self storage? Forrest: Haha, I’ve got some interesting ones, but I’m not sure there are any I want to talk about. Peter: No stories that are appropriate for the website? Peter: Hahaha, right on. I understand completely. So, you’re at H&M. 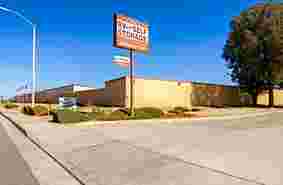 Is there anything distinctive about that self storage facility? Anything that sets it apart? Forrest: It looks a little bit homier than others, if that makes sense. Peter: Like it’s not so corporate looking or sterile? 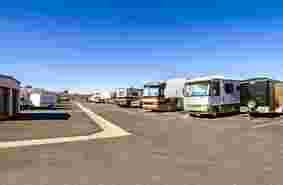 H&M Self Storage in Sun City, California has parking to store your RV, Car, Boat or favorite toy! Peter: What’s your clientele like? Is it mostly residential or do you have a good number of commercial clients too? Forrest: I’d say it’s about half and half. Peter: That’s a good mix! So, you’re not always at work. Do you have any hobbies outside of work that you like to do? Forrest: I go hiking a lot. Up at Humboldt Park there’s Devil’s Pass and that’s my favorite one. Peter: That sounds fun. Do you go by yourself? Forrest: No, my girlfriend and I go a lot. Peter: That is a good couple’s activity for sure, a fun way to stay in shape. Forrest: I like to cook. Peter: Any specific kind of cuisine? Forrest: I kind of make my own, if that makes sense. Peter: Ah, so you’re an original chef. Forrest: Oh, yeah. That’s me. H&M Self Storage’s interior units come in a variety of sizes. Peter: Do you have any go-to recipes. Forrest: You know what, cooking top ramen in the pan with soy sauce and green onions. Peter: So you boil it first to soften it up and then you throw it in the pan with soy sauce and green onions and fry it up? Forrest: Oh, yeah, with some eggs. Peter: Oh, dang. I am going to try that when I get home. That is an awesome go-to recipe: cheap, easy, and delicious. Forrest: It’s definitely cheap and really good. Peter: Cool, cool. Are there any restaurants near where you work that you eat at regularly? Forrest: Coco’s in Sun City. They’ve got a bit of everything: burgers, salads, steaks. I’ve been going there since I was a little kid. Peter: So you grew up in that area? Peter: Do you think you’ll stay there for the long haul or do you ever feel like getting out and moving somewhere else in the world? Forrest: I’m kind of seeing where the flow takes me. Peter: That is a great way to go about it. That’s what I’m doing. At the end of these interviews, I like to ask if there is anyone on the team who has helped you out in the past. Is there anyone on the team who deserves a shout out? Forrest: Other than my parents, Tommy helped me a lot, but he isn’t with the company anymore. Peter: That’s alright, we’ll give old Tommy a shout out. It’s the right time of year to get rid of the clutter and find some hidden treasures. Of course, we are talking about getting in on some great deals at our H&M Self Storage Facility Garage Sale happening this Saturday, April 21st from 7:00 AM to 3:00 PM! It sounds like shoppers will have plenty of units to look through, “We did have a sign up sheet, and it was for non-tenants as well. We have a couple of those that signed up. I have 15, and of 15, 11 payed,” Rebecca said. When it comes to the size of units that will be opening their doors, there will be a pretty good mix, “We have a few that have the larger units and then some of the tenants are like ‘Oh I have so much stuff at home I need to get rid of’ chances are they are probably going to sell items from their storage unit and bring things from home that they no longer use. But it’s really a mixture. Some are large and some are small,” Rebecca said. This event is open to the public, so call your friends and family! Everyone is invited to peruse the units and get in on the fun. Make sure you go early to get first dibs on the things you need, and snag a few things that you may not have realised you needed! At H&M Self Storage in Sun City, California we had a garage sale event on Saturday, April 21st. We love being able to help our tenants and customers spring clean their units, and give the public a chance to get in on some fantastic deals while having a relaxed look at our facility. H&M Facility Manager Rebecca Avila said that she had six tenants that opened their units to shoppers on Saturday. While she was expecting more of her customers to participate in the event, Rebecca said that a couple of them had enough items to fill four storage units. Rebecca made sure that the tenants participating in the garage sale were well taken care of. Starting off in the morning she provided them with donuts, water, bananas, coffee, and tea. Then in the afternoon her husband, Hector Avila, cooked up some hot dogs, and Rebecca had condiments, chips and lemonade for the tenants. When Rebecca realized they had more than enough food for the tenants that were participating, she decided to feed the shoppers as well. Of the units that had items for sale, one in particular held some potentially valuable treasures, including collectable Disney, Baseball, and general sports memorabilia. “I guess his brother in law recently passed, he worked at Disneyland so he had stuff for years and years and years. Like the original Tigger Teddy that was in its original box. A lot of stuff,” Rebecca said. It was the perfect time for shoppers to also get a good look at the layout of the facility since the garage sale was not confined to one area. “It was kind of throughout the property, even though it was six units. We had two tenants right by the office, and then in the middle section it was one tenant who rented a 26 foot moving truck with all furniture. Down that aisle was tons of furniture. And then the very last aisle she had all kinds of clothes and bicycles and tools,” Rebecca said. It’s amazing to see our facilities going above and beyond the call for their customers. Events like these help the self storage community grow closer. 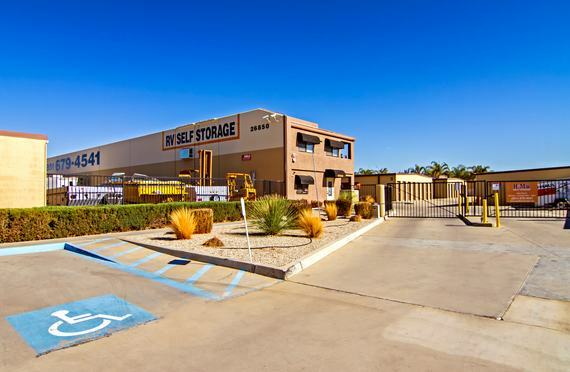 It also encourages those who may be curious about self storage to come meet the community and see the facility in a relaxed and fun environment. We can’t thank the H&M team and it’s tenants enough for helping us put on this great event, and if you weren’t able to make it to this one we hope that you’ll be excited as we are to participate in the next one! Pablo Picasso once said “In drawing, nothing is better than the first attempt.” With that in mind, we are pumped to announce that Becky Avila, facility manager at H&M Self Storage on Encanto Drive will be hosting her first ever customer appreciation event on the 22nd. We spoke with Becky about the event and what she anticipated for her first foray into leading a customer appreciation event. There should be plenty of incentive to swing by and say “Hello!” to Becky. The H&M storage team will be grilling up hotdogs for anyone that comes in to enjoy. There will also be snacks and beverages as well as a free raffle for a chance to win prizes. Whether you are a current renter at H&M or if you are considering becoming one, there isn’t a better time this month to drop by. Enjoy a free lunch, perhaps take a tour of the facility, and maybe even win a prize in the raffle. We’re sure that this event will be a success, not to mention fun for anyone who wants to attend. While this may be Becky’s first attempt at hosting a customer appreciation day, it surely won’t be her last. Remember Picasso, nothing is better than that first attempt!